Ask A Woodside MARKET EXPERT! DESCRIPTION A rare offering! Move-in ready 2BR END UNIT bungalow located in the 50+ complex of Woodside Gardens! 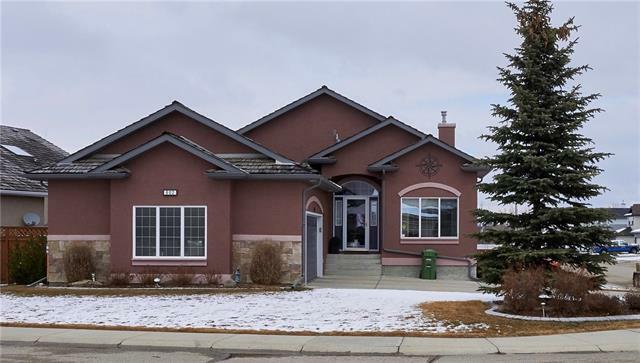 SOARING vaulted ceiling, newer SS appliances, recently installed LARGE walk-in shower, patio doors in MBR leading to the new rear deck backing a green space! The 4' high crawl space offers TONS of storage! There are 2 parking stalls...1 right at the front door, and the other is steps away. Ample visitor parking with plug-ins, new RUBBER ROOF and 6" rain gutters. Short walk to the Woodside Seniors Club, and Woodside Golf course is down the road. Conveniently located close to shopping and amenities. Home for sale at #9 209 Woodside DR Nw Airdrie, Alberts T4B 2E7. Description: The home at #9 209 Woodside DR Nw Airdrie, Alberta T4B 2E7 with the MLS® Number C4238147 is currently listed at $179,900.